- Anyone specifying or working with mortars for the repair of buildings. 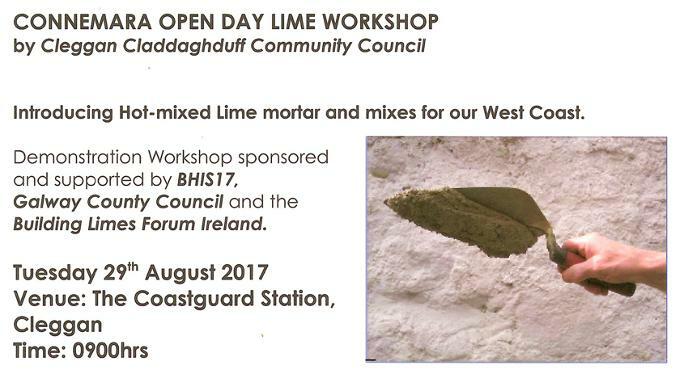 The workshop runs from 9.00am until 4.30pm on Tuesday 29th August 2017. It will be run by Ivor McElveen, C.Eng., and Laurik Matthieu Mason, and the fee is €45 (incl coffee/tea and lunch) - BLFI members, students and unwaged: €30. Read more details by clicking on the link below.